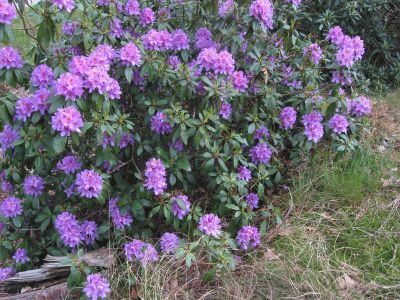 – Rhododendron ponticum (aka Azalea pontica) has alkaloids which are very poisonous to humans. Not for the bees. History tells us through Aristotle, Xenophon, Strabo, that in the first century, the Roman troops were poisoned with this type of honey, whey they were attacking the Heptakometes in Turkey. They became delirious and nauseous and easy to be defeated. 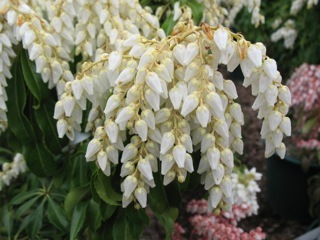 – Andromeda flowers, pieris japonica or lily of the valley shrubs contains grayanotoxins, which is very toxic, it paralyzes the limbs, the diaphragm and death comes instantly. 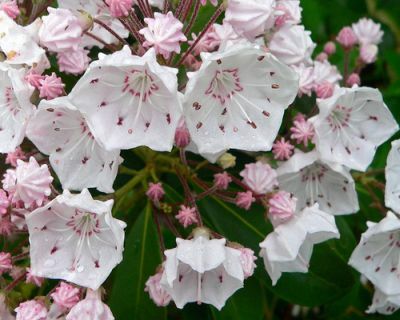 – Kalmia latifolia, aka calico bush, mountain llaurel, spoon-wood, ivybush, sheep laurel, lambkill, clamoun, a beautiful evergreen shrub found in eastern United States, which is also the state flower of Connecticut and Pennsylvania, includes grayanotoxin and arbutin, toxic to animals like horses, goats, cattle, deer, monkeys and humans. The ingestion causes gastrointestinal irritations, hemorrhage and death. 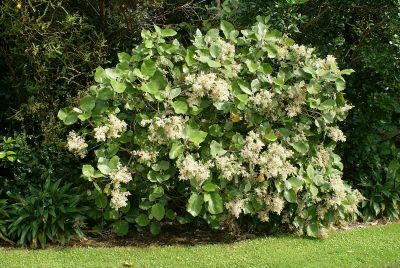 – Wharangi bush, melicope ternate, from New Zealand, also produces fatal toxins. Bees gather honeydew produced by the vine hopper insects, which are feeding on those tutu plants. This introduces the poison tutin into honey. But since December 2001, the beekeepers have reduced the risk of producing toxic honey, by closely monitoring tutu, hopper, and foraging conditions. 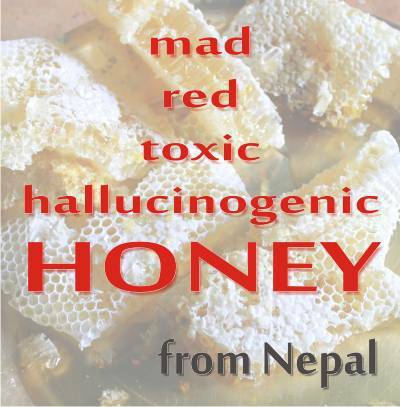 To reduce the risk of tutin poisoning, people should not eat honey taken from the risk areas of New Zealand. -Hyoscyamus niger l. – the predictions of the High Priestess in Oracle of Delphi were induces by the toxins released from this plant. -Narcotic opium honey – also results from areas where there are opium poppy cultivation. Also read all Types of honey covered in this site.
! Manuka honey can be toxic!! It can be contaminated from a plant that grows near the manuka bushes. It’s actually impossible to stop bees from harvesting it, too. A new dispute on manuka honey market: Is it toxic or not? Which is why the New Zealand’ regulations mention the tests needed to be done in order to insure a non-toxic honey for population. Please read How is manuka honey tested? Can we trust those tests? In South Africa, in 1945, a bird was found intoxicated, with an abnormal flight, after it had consumed honey fermented in the sun. The honey was a good natural product until it fermented. After that, the scientists called it toxic. 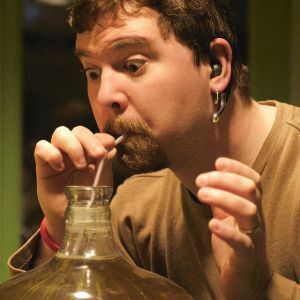 · How to make mead at home! · Do you want a homemade mead recipe? · This 9000 years old booze is back on top. Let’s all mead now! · From where to buy mead wine? · Mad Honey! Are you high? 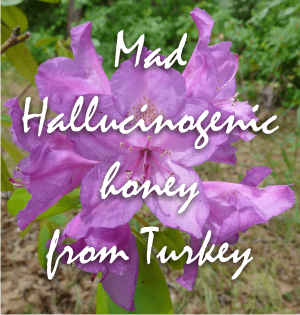 – a specific honey with real psychedelic qualities, produced in Turkey. · Viper’s Bugloss honey – potentially hepatotoxic if consumed in large quantities. Hi, I’ve kept bees for 12 years. Honey that remains liquid is not neccessarily adultered or overly processed. A lot depends on the nectar source. Some honey I eztract has remained liquid for over a year, while other sources crystallize so quickly that I have to be sure to bottle it within a week or two of extracting. I agree with your comment to find a trusted beekeeper to buy from, which most beekeepers are. If you sell a bad product it doesn’t take long for word to get around. Likewise, a good reputation as a beekeeper gets people knocking on your door to buy your honey. I’ve had to set up a self serve stand at my house to keep customers happy. I got some fake Linden Honey from Germany at Ross Dress for Less. I know that linden honey crystallizes in winter time. Mine is still beautiful golden and flowing. I’m learning to buy honey from local beekeepers. Yes, it is possible that your honey is adulterated or way too much processed. You are right raw honey should crystallize. In winter I only buy crystallized honey. Buying from your locals is not necessary an indicator of good quality or of an unadulterated honey. Beekeepers can be frauds, too. Buying from a known, trustful beekeeper is the best solution, of course. But buying already crystallized honey is also indicated. Forget supermarkets and try online herb shops.